Home > Brands > Contour Design, Inc.
Contour Mouse the ergonomic hand-held mouse that is perfect for right or left handed users. The ShuttleXpress is an ergonomic multi-media controller that is compact in size. 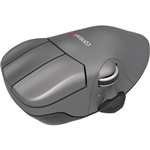 Contour Mouse Wireless the ergonomic hand-held mouse that is perfect for right or left handed users. The Contour Unimouse (Wired) offers maximum precision and provides ultimate comfort with its 4 friction-based points of articulation. 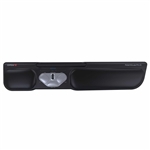 The Balance Keyboard is specifically designed to fit the RollerMouse Red, Red plus, and Free3 while putting your hands in the perfect typing and mousing position. The ShuttlePRO v.2 is designed to maximize multi-media productivity. The RollerMouse Pro3 allows you to work safer, faster, and more comfortably. Contour RollerMouse Free3 offers an ergonomic design, precision and quality features. The RollerMouse Red with its solid, sleek and durable aluminum frame, houses an advanced rollerbar and eight centralized button functions. With the RollerMouse Red Plus, experience unrivaled comfort, control, and pinpoint accuracy. The RollerMouse Free3 with the Wireless Technology brings you the same quality, precision and ergonomic design that you have grown to love. Contour Design provides the best ergonomic keyboard and mouse combination on the market today. The Contour Balance RollerMouse Keyboard Free3 bundle is the ultimate workstation in terms of comfort, functionality and productivity. The keyboard's slim design aligns perfectly with the RollerMouse Free3 and, with built-in height adjustment, also helps reduce strain to your hands and arms. Contour Design RollerMouse options include a wide array of Contour RollerMouse configurations, including the Pro2, Free2, Red, Red Plus and Free3, a wireless upgrade of the Free2, boasting the same precision, quality and unmatched ergonomics but with added speed and additional buttons. Other Contour ergonomic mouse selections can be found in the 5-button Contour Mouse model, available in both right-handed (four sizes) and left-handed (two sizes) versions. For users involved in audio, video or photo editing, nothing can match the diverse functionality of the ShuttlePRO V.2 and its smaller cousin, the Shuttle Xpress.